In 1858 this portion of the park was created. 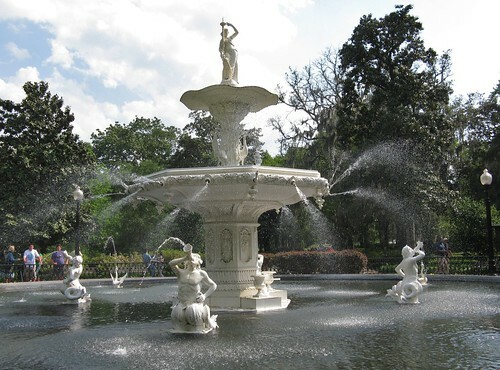 This fountain was inspired by that seen in Paris, like the Place de Concorde, and in Cuzco, Peru. This area was featured in the book, "Midnight in the Garden of Good and Evil". Those mermen are intriguing.